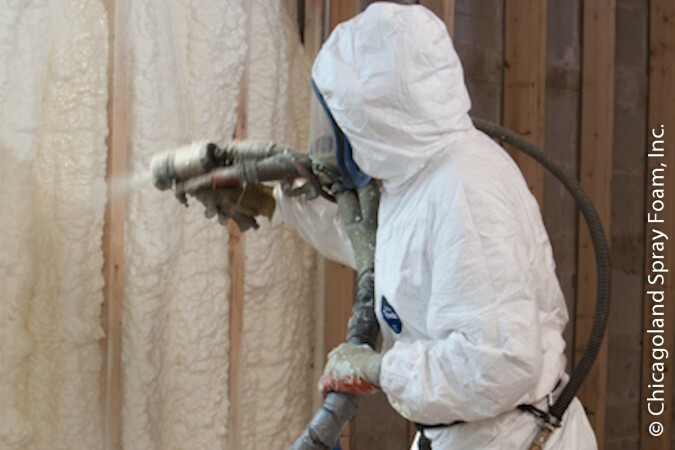 Welcome to Chicagoland Spray Foam, Inc. where we provide services for Residential, Commercial, and Industrial projects. Some of these services include Basement, Crawlspace, Wall Insulation, Attic Insulation, Waterproofing, Polyurea Coatings, and Slab Jacking applications. Start saving up to 50% or more on your gas and electric bills with “Spray Foam Insulation”. Spray Foam insulation is one of the few building materials that will show a substantial payback month after month, year after year. Chicagoland Spray Foam, Inc provides Spray Foam Insulation and Slab Jacking services in the state of Illinois and the greater chicago area. We can be reached either by telephone or online by clicking “Contact Us“. We would be glad to provide you with a free estimate for you upcoming project and strive to meet or beat our licensed and bonded competition on service and price. We look forward to working with you.